I am a (pathetic!) 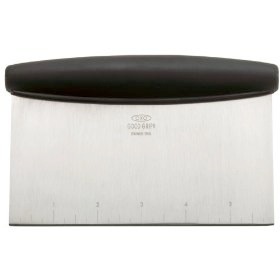 kitchen tool geek. This is in addition to being a computer geek and a cookbook geek. (My kids are smiling as they read this...) As a result, recipes like this one bring me a great deal of pleasure because I’ve found yet another use for those tools I thought I couldn’t live without. I’ve wanted to add a “Non-stick Edge Brownie Pan” to my growing collection of kitchen equipment ever since I bought the Lasagna Trio Pan. 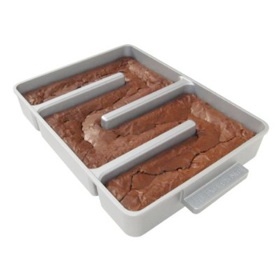 As I was debating whether to make these brownies for a wedding shower, it occurred to me that the lasagna pan might work just as well - only without corners. So, I set out to give it a trial run. These aren’t necessarily “pretty”, but they are the sentimental favorite bar cookie of everyone at my house but ME... The reason is that the kids wouldn’t touch it if I added the nuts - so I always make it for them the way they like it... NUT-less. 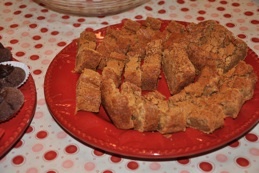 To me - the title should have been “BORING” Brownies. Amazing what sacrifice we make for the kids! 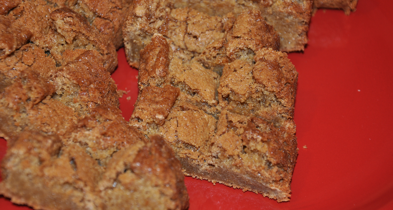 You may know these as “Blondies” - and they seem to be popular because of their chewy texture and rich butterscotch flavor. 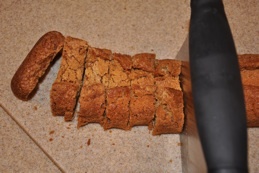 My husband used to walk into the kitchen occasionally and “even up” the edges with his fork. I catch my kids doing the same thing. 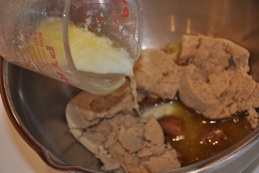 Melt butter (this is important or the texture will not be chewy). Beat in eggs till fluffy. 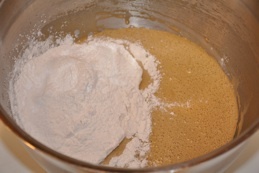 Add dry ingredients, blend till smooth. 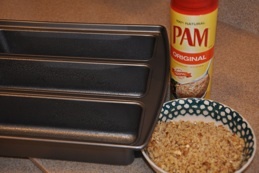 Spread into a greased 9” x 13” pan. 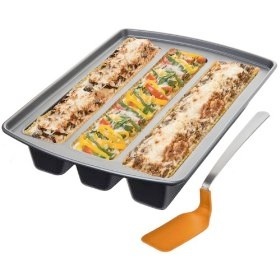 OR - use the Lasagna Trio Pan or Nonstick Edge Brownie Pan. 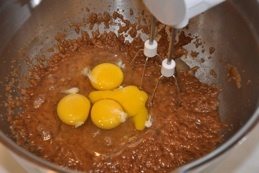 Try not to “peek” by opening the oven door before baking time is complete - or the brownies will fall in the middle. 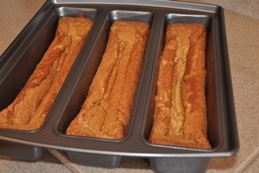 Slice into bars when cool. Looking for a cookie you can easily “squirrel away” until company drops in? 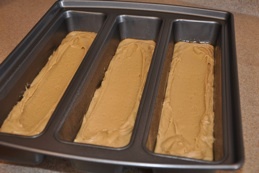 This works perfectly because they don’t lose quality when frozen, and they cut easily into bars without disturbing frosting, toppings, etc... Keep one portion for yourself, and wrap up the other two to bring out when you need a quick dessert.